The 7.5 Richter magnitude Earthquake that hit Palu is the most devastating earthquake to hit the country since 2004. The earthquake occurred at 18:03 local time on Friday, 28 September 2018. It was caused by a horizontal movement of tectonic plates with an epicenter just off the central Island of Sulawesi, at a shallow depth of 10 km. Its close proximity to densely populated areas caused a large-scale destruction to the island. Buildings turned into rubble, over 2,000 people lost their lives, 70,000 more displaced and thousands still missing. The natural disaster in Palu came just two months after series of big earthquakes in the Island of Lombok which killed hundreds and destroyed thousands of homes. Video: Amateur video footage of the quake and the tsunami’s first impact. Five minutes after the earthquake struck, the BMKG (Indonesia’s Meteorology, Climatology, and Geophysics agency) issued a Tsunami warning. The officials anticipated a wave of up to 3 meters high. However, waves reached up to 6 meters in some areas and traveled up to 1km inland. In a span of 30 minutes after the quake rocked the Island, a barreling wave came crashing into the coast, sweeping everything on its way. Bodies were seen as the water pulls back, making its way back to the sea. What caused the 6-meter Tsunami? 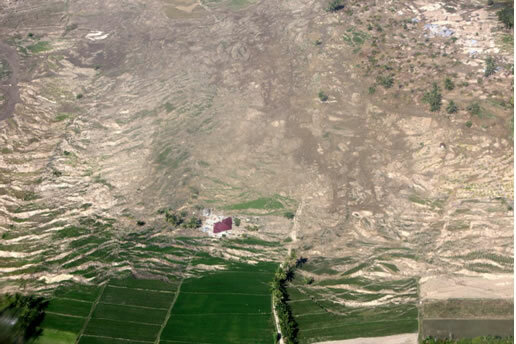 Unlike most Tsunamis which are caused by a thrust Earthquake, the tsunami in Palu was caused by what is known as the strike-slip fault, where tectonic plates move horizontally rather than vertically. 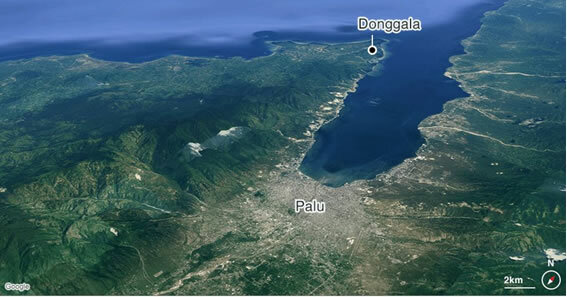 Scientists have described the cause of Palu's natural disaster as unusual. "This type of Earthquake is not the standard mechanism that triggers a Tsunami" explained Costas Synolakis of Southern California's Tsunami Research Center. One explanation is that the quake triggered a series of an underwater landslide, which is believed to have started a Tsunami wave. Moreover, the long and narrow shape of the bay played a role in intensifying the wave. As a result, there were increased in speed and height of the waves as it headed towards Palu. According to experts, this type of tsunamis has happened in the past, but none were in Indonesia. In 1992, there were 35 Tsunamis recorded, and four was caused by a quake-triggered undersea landslide. The majority of Tsunamis in Indonesia, such as the destructive one in Aceh were caused by a violent vertical thrust of tectonic plates, not sideways. 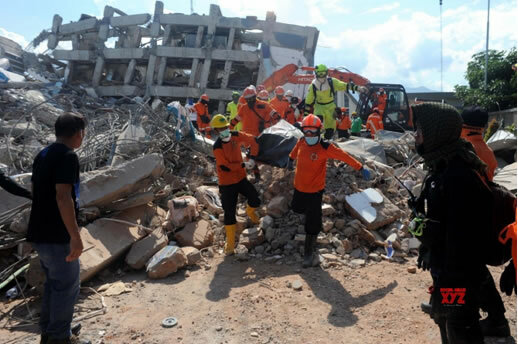 Image: Rescue mission Palu Earthquake 2018. The aftermath of the 7.5 quakes and the Tsunami obliterated the whole area. The rescue mission was no easy task. As reported, there were shortages of equipment such as heavy machinery which is crucial in finding the victims under the rubble. Communication was also limited as telecommunication towers were destroyed and roads were damaged, making it difficult to contact and reach remote affected areas. 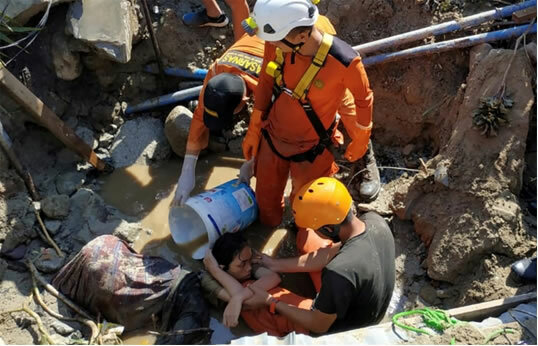 Image: Rescuing people trapped in rubble. Image: Mr. Agung, an Air Traffic Controller. 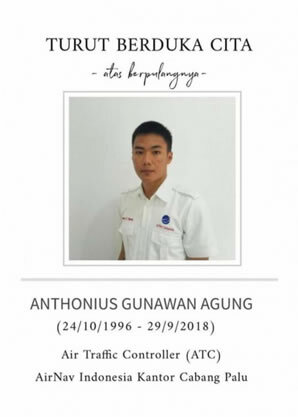 One of the victims was a 21-year-old Anthonius Gunawan Agung, an air traffic controller. When the Earthquake hits, Mr. Agung stayed to make sure the plane could safely take off. Batik Airways flight 6321 was able to take off just when the Earthquake hits. Mr. Agung escaped the crumbling tower by jumping off it and as a result, injured himself. He passed away while waiting for the medical response. The pilot, Mr. Mafella believes that Mr. Agung has saved his life and his passengers. "He was a guardian angel," said Mr. Mafella. His last words were, "you are clear to take off Batik 6321." 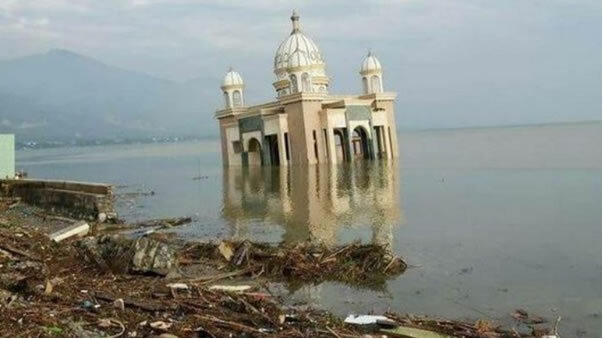 Image: Tsunami Aftermath – A floating local mosque. Image: Aerial photo of Liquefaction in Palu. The soil liquefaction in Palu was a natural phenomenon triggered by quake shocks causing the solid surface of the ground to turn to liquid. This phenomenon occurred due to Palu’s large saturated sandy soils. A similar disaster also happened in the aftermath of the 1964 Niigata earthquake. 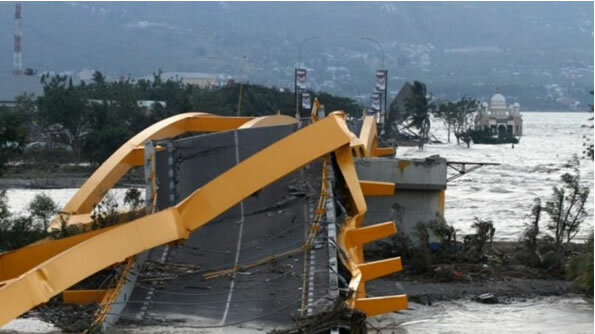 Image: The Iconic Bridge in Palu collapsed. 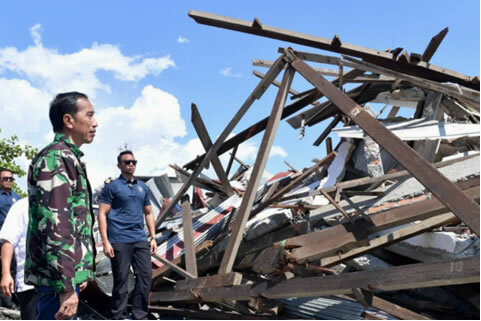 Image: Indonesian President, Joko Widodo assessing the situation in Palu. On Thursday 11th October, the government officially called off the search for thousands missing. It has become increasingly difficult to identify bodies as large part of the grounds has been moved during the liquefaction. Parks and monuments are planned to be built to commemorate the victims.